Thank You all for the weekend and braving the weather! Fantastic Sailing conditions and excellent racing today! Pictures on Facebook to follow and event video will appear here in the next day or so! 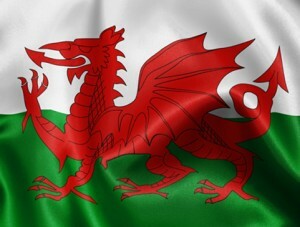 Am nawr Diolch yn fawr i bawb and GO WALES! You can now download the draft Sailing Instructions here. Wales look forward to welcoming you to Plas Menai / Pwllheli for this weekend. Arrival Instructions (see NOR for event details). On arrival check in will be at the main reception for sailors and privately booked parents. TV / lounge facilities available but no food until Saturday morning. There is a local village and town close by if you have not eaten on route. There will be a individually home country meeting / centre briefing after arrival with your HPM and coaches. Any urgent enquiries please direct to your HPM or Iwan Basten 07824 990693. The aim for 2012 is to bring back a top level competition for the best sailors in Wales, Ireland, Scotland to put training into practice at one of the UK’s top venues. After a brief venue training session in the morning an 8 race series will decide the competition with squad coaches on hand and in close proximity to offer every word of wisdom on performance and review. Saturday Night will include a dinner for the sailors followed by a review of the ISAF Worlds and lessons learnt from Olympic Coach Chris Gowers.